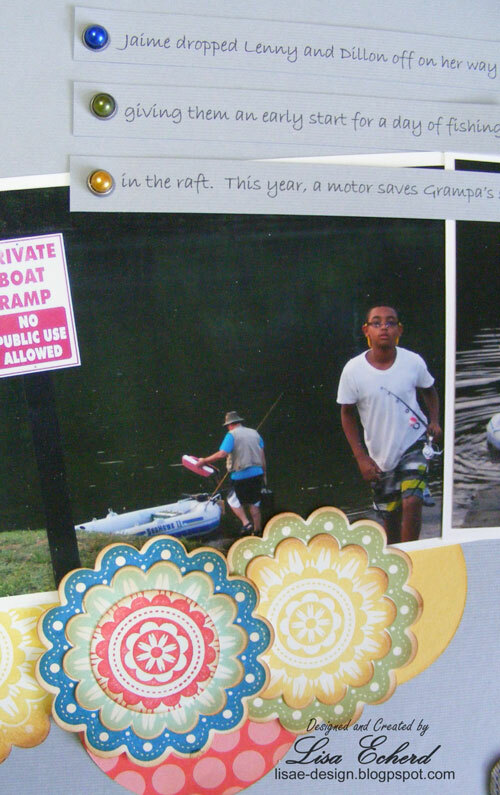 Last summer's fishing adventures were a tad less adventuresome thanks to a motor on the raft that gave my husband and his grandson quick access to the lake shore. They are both looking forward to this summer's fishing trip. 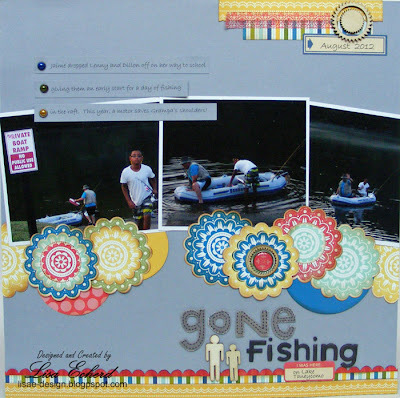 For the page, I took up a couple of CHA challenges: Stretch your Supplies from Shimelle.com and Use 5 Tools from Two Peas in a Bucket. The Quint-essential flower stamp from Stampin' Up! coordinates with 2 scallop punches and a whole bunch of circle punches. 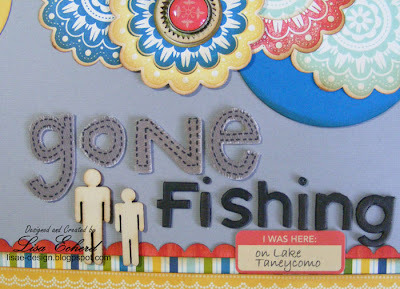 I also used my scallop border punch on the layout. The other challenge I faced was very dark photos that seemed to recede further with the bright colors I chose for stamping and papers. To make the photos pop a bit more, I matted them with white cardstock. The scallop pieces were all distressed so they blended more with the photos. I love how you made the photos pop and used all of this great color, Lisa! The colours are great with this layout. Very fun. Love your colors and the scalloped border! Join me for a Scrapinar!